Each Geronimo Stilton book is fast-paced, with lively full-color art and a unique format kids 7-10 will love. 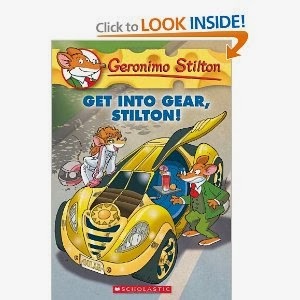 I, Geronimo Stilton, was selected by the mayor to give a special driving demonstration, but my drivers' license had expired! I had only a week to relearn everything to pass the test for a new one. Little did I know that my lessons would introduce me to a talking robot car! It was up to us to stop a thief and make the roads safer for everyone.